Is Twitter Too Big To Fail And Will It Survive? It’s is on the nose, but will Twitter survive? The news has not been good for Twitter lately, and I am not surprised. Stories in the news such as this, this and this, only go to prove that Twitter has managed to get a lot of things wrong in the last few years. Most of Twitter problems go back to a decision to alienate developers, which was the silliest move Twitter ever made. It is the private developers who make a platform work, add functionality and innovation. Every other social media platform welcomes developers with open arms, providing them with their API and letting them extend the reach and usefulness of their platforms. But Twitter decided that it was too clever, and could do it all itself. So Twitter re-installed its founder, Jack Dorsey, to sort out the mess. But Twitter’s growth rate is stagnant and new users are becoming difficult to attract. Twitter is a fantastic platform, but in my opinion, it has been managed by idiots. Idiots who created the great lockout episode some time ago, when Twitter decided to penalise and lock out users for the most minor of transgressions. Like following other users! Dumb, dumb, dumb. But the market will save Twitter. Whether Jack Dorsey survives, which I doubt, as he is really old Twitter, the platform itself is extremely valuable, so as such, there will always be money to invest in it or to buy it outright. Smarter heads and money could do wonders for Twitter. For readers of my blog, who are in the majority, self-publishing authors, Twitter is the most viable platform for promoting yourself as an author, and of course promoting your books. No other platform allows the freedom to ‘flog one’s wares’ as much as Twitter does. It also allows you to have multiple accounts, automated posting and, well, to be honest, it allows you to tell little lies. Ok, so you have sold two copies of your book, but you can claim to be a bestselling author!! Who cares? It’s Twitter, so you can do that! Twitter removes the restrictions that other platforms enforce with vigour and allows you total freedom of expression. That is the fundamental beauty of Twitter. And it shall remain. However, expect some pain ahead. Twitter is not out of the woods by a long way yet, and it will take time and a lot of changes before it starts to attract new users in big numbers. So, for book promotional purposes, expect the slowdown to continue for the coming months. Be patient, though, as I am sure Twitter will bounce back. Why? Because it is too big to fail. In the meantime, however, perhaps it might be a good idea to hedge your bets on Twitter and put your energy into gaining more organic traffic to your blog and books. I also love Twitter – but as far as it being a platform for authors – I don’t quite get that yet. 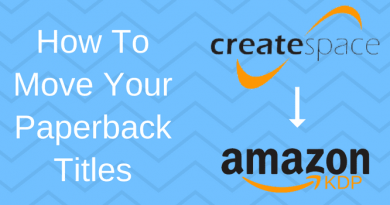 Maybe I’m too new to it – but it seems like a lot of information flashing before your eyes – and I certainly find value in read items that you post – but as for buying or selling fiction – which is what I write – how long does it take to get traction? One year – two years?? Three. I guess I use Twitter as a way to check in and hear what people are saying and hopefully to build name and eventually brand recognition. But it seems like a long slog ahead. Being an author is a long slog, Brad. So expect bumps in the road! But as far as Twitter is concerned, it can be overwhelming. I find the best way to manage Twitter is by using lists, as you can narrow down the information to what is important to you.